CCM prides itself in hiring professional personnel with an understanding of the market place, along with the individual needs of our various clients and the intricacies this involves. Steve started his career in 1977 working in the international insurance industry in the London market, where he predominately specialized in negotiating all aspects of maritime, offshore/onshore energy related and construction defect claims. He also spent five years in Louisiana where he was a founder of a TPA and adjusting firm. His experience also includes production, placement of the above interests, along with various other aspects of insurance including cargo, and contractual frustration. Steve is the founder of CCM, and is responsible for the management of claims and liaison between clients and underwriters. He attends mediations as underwriters’ representative in an effort to economically conclude losses. Steve’s experience is also utilized as an expert witness for coverage disputes and litigation. 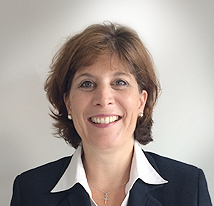 Debbie worked for a major UK insurance broker for 17 years before joining CCM UK office in June 2005. She initially trained as an Account Handler in the classes of Motor Fleet, Engineering, Personal Accident, Travel, Property Damage, Business Interruption, Employers Liability and Public Liability, servicing her own portfolio of clients. Debbie then handled Excess of Loss Marine Reinsurance claims, and processing for the London market thereby ensuring payments were made and client accounts were audited frequently. At CCM Debbie provides technical expertise and adjusts claims, in both our Marine and construction books of business. 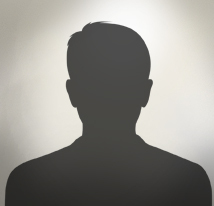 Jack began his career at CCM as a claims adjuster in October 2013. He is currently working on both the construction defect, and marine programs. He graduated with a Bachelor of Science degree in Maritime Business and Management from Liverpool John Moores University in July 2013. As part of the degree he studied modules including Law of Carriage of Goods and Maritime Law & Marine Insurance. 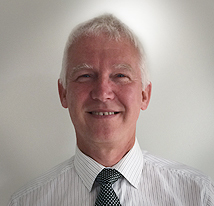 Martyn joined CCM UK in October 2003 on a part time basis after spending 28 years in the Fiduciary department with a major UK broker where he was also responsible for implementing computer system training. 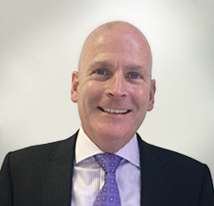 Martyn is chiefly responsible for overseeing the company Escrow accounts. 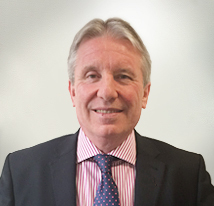 Bill Edmead is the Manager for CCM Ltd. Having commenced his career in the London market in 1975, Bill joined CCM in July 2005 operating out of the firm’s UK office. He has a vast experience in the insurance industry, primarily working in the London market, handling all aspects of claims concerning Marine Hull and Cargo, general liabilities on both a facultative and excess of loss reinsurance basis. 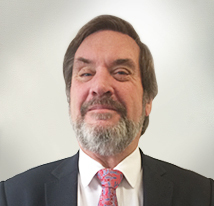 Bill has also been extensively involved in the Gulf region, where he has gained considerable experience in all facets of the river industry, specifically, Hull, P & I, Commercial and Maritime Employers Liability and Energy related claims, acting on behalf of various clients including American domestic carriers as well as London insurers. Bill also performs underwriting and claims audits on various programs as required. As the Manager of the TPA element of the firm, Bill maintains close liaison with the U.S. offices of CCM Inc.
Chris began his career as a claims adjuster at CCM in January 2003. He manages our various construction defect programs wherein CCM have been assigned to act on behalf of certain London Underwriters. Chris also handles other classes of business including marine, cargo, charterers liability, personal accident and specialized lines. He also performs various underwriting and claims audits and attends claims review meetings representing the insurance market on an array of coverages. 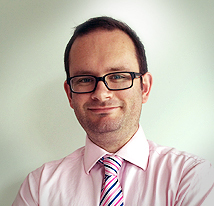 To meet our clients evolving requirements Chris is also responsible for CCM’s continued I.T. development and interactive strategies. 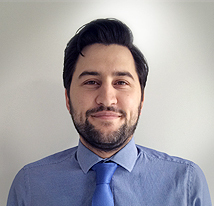 After attaining a Bachelor of Arts degree at Canterbury University, Kent, Chris proceeded to work for a Major UK broker as part of their Re-Solutions department before taking up his role at CCM. His experience includes extensive travel throughout the world on behalf of his employers and the London insurance market liaising with clients on claims handling and giving presentations at various conferences together with an extended period working in Singapore for a Lloyd’s syndicate. Simon has participated in several mediations and arbitrations on behalf of the London insurance market, bringing the cases to successful and cost-effective conclusion. Monique began her career in 1984 with a major offshore company assisting the Risk Manager with the overall claims handling and processing of personal injury claims under the Jones Act, State Compensation Act and U.S.L & H Act as applicable. She joined CCM in November 2005. Monique’s duties include verbal and written communications with claimants, insureds, brokers, underwriters, defense and plaintiff counsels. She also coordinates medical treatment corresponding with physicians and employers regarding claimant’s work status. Monique also arranges surveillance and performs background searches on claimants; corresponds with the insured regarding claim payments and deductible status: tracks AADs on policies where applicable; authorizes and approves claim payments on underwriters behalf; monitors minor loss time accidents and documents files accordingly. Monique manages multiple escrow accounts for insureds and underwriters. Van commenced his employment with CCM in August 2010. He started his career in 1990, after his active duty tour in the United States Marine Corps. During his career he has handled various types of claims including Maritime, Jones Act, USL&H, State Worker Compensation, Auto, General liability, and Property Claims. Van’s duties include meeting injured personnel at the dock and transporting them to hospital or a medical facility, along with communicating with the claimants, the insured, brokers, underwriters, and defense counsel in all aspects of the case from the initial advice to its conclusion. Van also coordinates and supervises medicals which includes liaising with physicians on treatments administered and work status. Van also negotiates settlements with claimants and plaintiff attorneys, attends mediations, depositions, and represents insureds and underwriters in settlement conferences. Dustin has been employed with CCM since May 2012 as an Adjuster. Some of the duties performed by Dustin include meeting injured workers at the dock and transporting them to hospitals or medical facilities. He assists them in obtaining the appropriate treatment which includes liaising with physicians and work status. He investigates all facets of the claim and continually works with claimants, witnesses, insured, lawyers and reporting to underwriters. In 1999 Jamie graduated with a degree from Southeastern Louisiana University. She worked at a TPA and adjusting firm for thirteen years before joining CCM in 2012. Jamie handles and processes account receivables and payables for the Louisiana and Texas office. 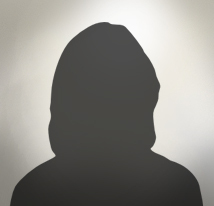 She is responsible for tracking and reporting all claim payments and deductible / AAD statuses to the insured and brokers. Scott began his career at CCM in November 2012, Scott’s duties include the creation of Best Practices protocols as they apply to the analyzing, administering and adjusting of all Jones Act, Foreign Maritime and Third Party personal injury claims. He works as a liaison between the company’s adjusters and outside counsel, to coordinate and research discovery information, coordinate and prepare adjusters for depositions as well as extensive review and preparation for mediation and trial. Scott is also responsible for the creation and implementation of CCM’s proprietary database. Scott has over 20 years experience of negotiating and drafting complex business deals and transactional agreements, advising executives and companies on strategic structures, risk matters, labor / guilds and the use of intellectual property. In 2006 Scott was awarded a Primetime Emmy from the Academy of Television Arts & Sciences in Engineering, holds a Bachelor of Arts degree from Pepperdine University’s Seaver College in Communications and is a proud graduate of Pepperdine University’s School of Law, where he earned his Juris Doctorate in 1994. Ben commenced his tenure at CCM as an adjuster in February 2008. He began his insurance career in 1999, investigating, negotiating and settling various claims including liability, casualty, commercial & residential property, personal injury, maritime and Jones Act claims. In addition, he is well versed in analyzing loss and safety issues and providing alternative solutions that utilize the industry’s Best Practices. Ben was promoted to Gulf Coast Regional Manager in January 2013. He oversees the day to day operations and claims management for all US operations providing directions and recommendations for claims handling and investigations, working to secure the most efficient financial outcome. When you're tired of insurance, you're tired of life.